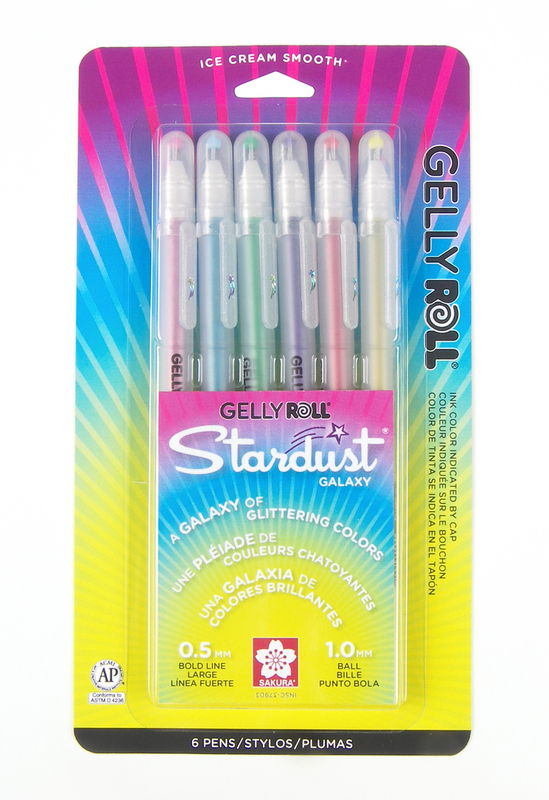 Stunning Gelly Roll Stardust® captures the sparkle and glitter of stars to make handwriting extra special. For the best results, use Stardust® gel ink on light colored or matte paper surfaces. 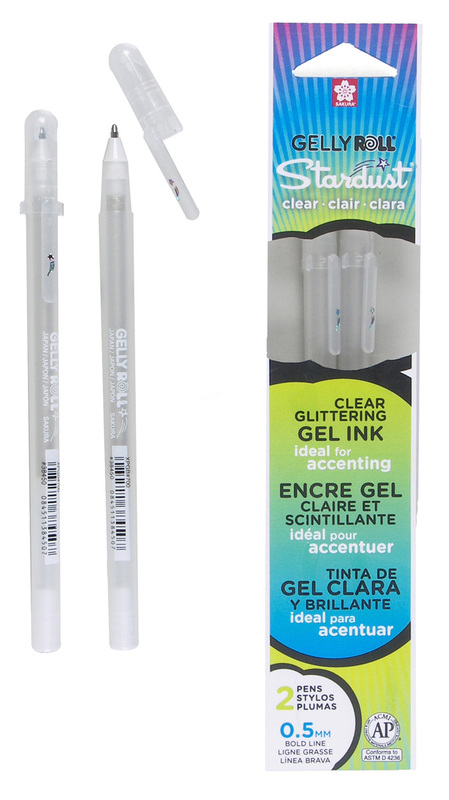 Gelly Roll Stardust captures the sparkle and glitter of stars to make handwriting extra-special. Don't underestimate the extraordinary value of a handwritten note. Handwriting is as unique as a fingerprint, so why not add a little glimmer to a signature style. The stunning Gelly Roll Stardust sparkles best on light colored or matte paper surfaces. Archival quality ink – chemically stable, waterproof, and fade resistant. Sparkle may lift over time. No smears, feathers, or bleed-through on most papers. For more details about Gelly Roll Stardust, visit our main site. Embellishing with the sparkle can transform the simplest image into an unexpected treasure. The reflective brilliance of Gelly Roll Stardust® sparkles best on light or dark colored, glossy or matte paper surfaces. Not evaluated for cosmetic use on skin, Meets ACMI non-toxicity standards. 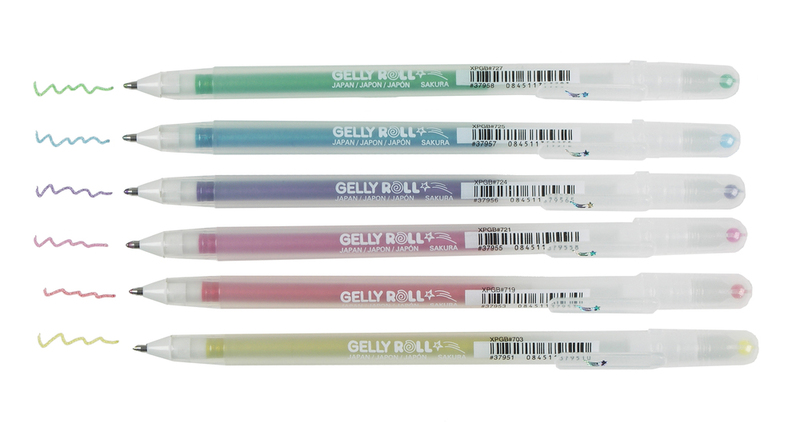 For more details about Gelly Roll Stardust Clear, visit our main site.